As far as requests for German clubs go FC Union Berlin was by far and away the most requested. Not just by fans in Germany either, but from all over the world. It just goes to show that teams don’t need to be playing in their countries top division to have worldwide appeal. 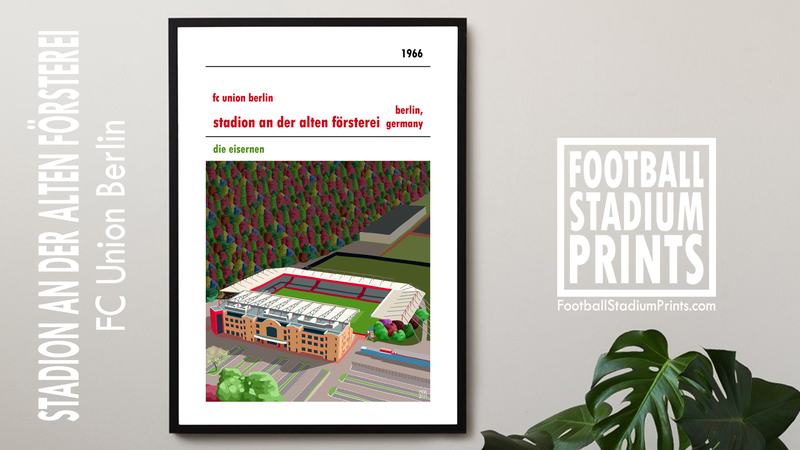 The Stadion An Der Alten Försterei (Stadium at the old forester’s house) definitely has the longest name of any ground I’ve designed a print for so far. It’s also probably the most interesting name I’ve come across. 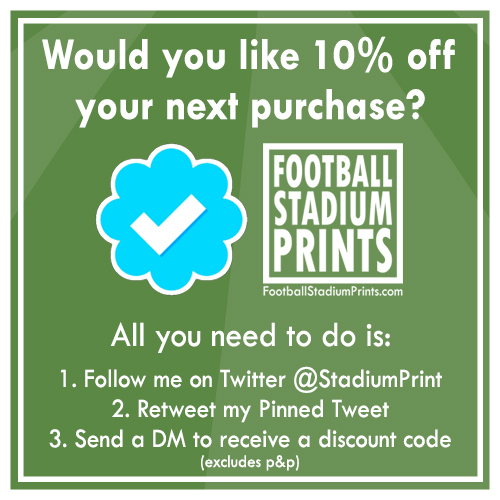 Although the original stadium was built in 1920 it has undergone many face lifts and upgrade over the years. The most recent being an expansion to capacity in 2013. I’ve never been but I can assume, having been to other grounds in Germany, that seeing as the vast majority of the 22,012 capacity is standing (3,617 seats) the atmosphere inside is going to be bouncing.